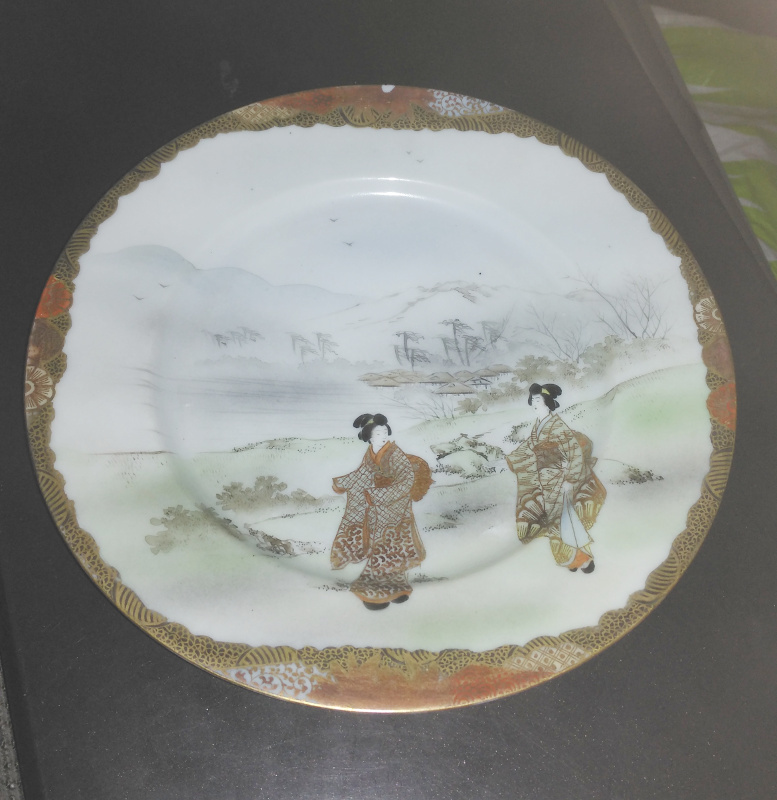 I have a finely painted Satsuma style eggshell tea set - a plate shown. 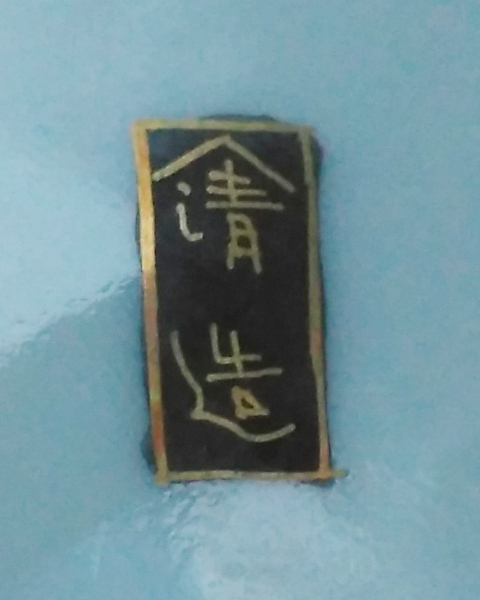 Second character is tsukuru, does anyone know what the first character of the mark is - looks like a 'house of' mark. The character under the "roof" (Yago) is "Sei" 清, meaning "pure". The bottom character is "Zo" 造, meaning "made (by)". According I.Nagy - Japanese language expert of this forum - a Yago character above another character might be interpreted as short for "Yama" (normally 山). So the translation might be: Yamasei Zo (made by Yamasei). This kind of Yago (roof) marks are often the mark of a small family workshop in the 1920's / 1930's.